Nino’s Fresh Cut Fruit & Veg. 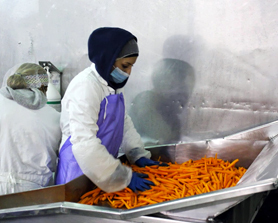 has gone the extra mile to ensure the safety of every piece of fruit and vegetable we process, cut or package. We strictly adhere to all guidelines in forced by the HACCP plan and follow an effective Sanitation Standard Operating Procedure ( SSOP). 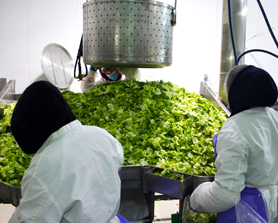 In order to prevent any unsafe food entering commerce we believe it is essential to obtain a full commitment to safety from all levels of personnel at Nino’s Fresh Cut Fruit & Veg. We provide structured training, evaluations, and monitor results that enable us to continually improve. The primary goal of SSOP is to ensure our processing rooms, equipments, utensils, facilities and grounds are maintained at the highest levels of cleanliness and sanitation as possible. We are also PrimusGFS certified.